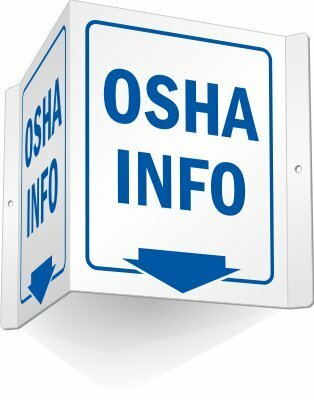 OSHA Info (with Arrow) – Projecting Aluminum Sign, 5″ x 6″ – Use a “osha info (with arrow)” sign. Give safety a boost – with a sign. A graphic makes your point clear. Make safety and compliance the building blocks of your success.